Finnvera’s clients are Finnish micro-enterprises and SMEs that operate on the Finnish market or seek growth through internationalisation. In addition, our clients include large Finnish corporates engaged in the export trade, their foreign buyers, and domestic and foreign banks providing financing for exports. At the end of 2017, our clients numbered 27,300. The percentage of micro-enterprises among all clients remained high at nearly 90 per cent. In 2017, 11 per cent of our clients were other SMEs and midcap enterprises. 0.5 per cent of our clients were large corporates. In all, 89 per cent of our clients were micro-enterprises. The fastest client turnover is in micro-financing, where the sums involved are the smallest and clients generally have one-off financing needs. 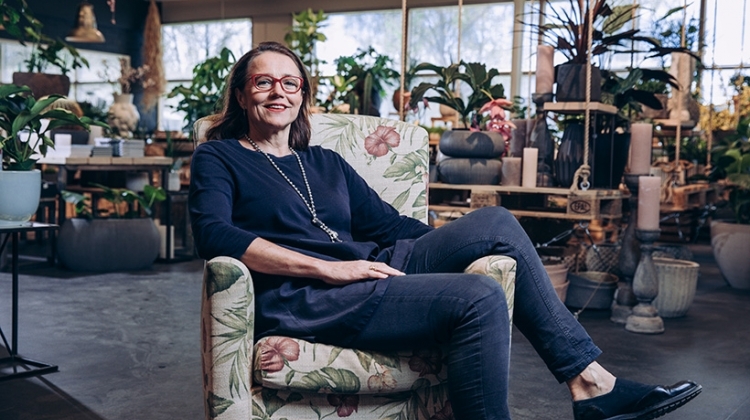 Garden Living Oy’s Creative Director Eva Wuite says that the Start Guarantee helped the company to grow. Growth to the company’s current scale would not have been possible without the Start Guarantee. “We made a lot of major investments, for which we needed financing. We also needed a store, a more extensive stock of products, store furniture and fittings as well as a marketing budget, among other things”, she says. 11 per cent of our clients were other SMEs and midcap enterprises. Following the mandate received in 2016, our clientele has also included midcap companies that are larger than SMEs. Midcap companies that have been in business for over three years can apply for Finnvera’s Growth Loan for their growth and internationalisation projects. Over a period of 15 years, Elcoline Group Oy, founded in 2002, has grown into a company with more than 100 employees and global operations. The company has increased its size also with strategic company acquisitions. “We had no previous entrepreneurial experience and chose limited partnership as the company form because we didn’t have enough money for a limited company’s initial capital,” says Jere Räisänen, a founder of the company and the current Chairman of the Board, thinking back to the early days. Of our clients, 0.5 per cent, were large corporates but their share of financing is big. In 2017, demand for export financing services rose to a record-breaking level. Export financing services make export transactions possible and provide protection against the associated risks. We continued to accelerate smaller-scale export trade transactions with new products. Launched in 2017, the Receivables Purchase Guarantee is targeted at banks that provide financing for exporters’ receivables. The more contracts Finnish export companies can win, the better it is for the Finnish economy. A globally exceptional maritime industry cluster has evolved in Finland, comprised of up to 3,000 companies. When a ship deal worth billions is concluded, you can hear the champagne corks popping also in places other than just Turku Shipyard. 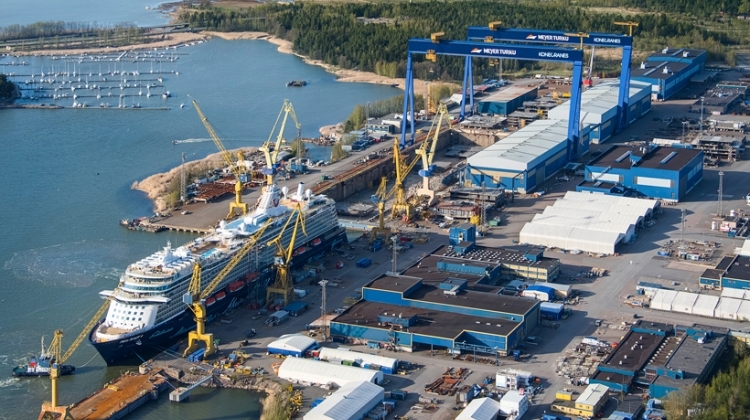 The design and construction of a giant cruise ship is a joint effort by several companies acting as drivers in the project as well as hundreds of subcontractors around Finland. Konecranes is delivering an enormous crane to the shipyard, while NIT, a company from Turku, is in charge of designing ship interiors. Finnvera’s Regional Director Seija Pelkonen says that the success of the sea cluster reflects on the entire country and hundreds of companies and can be seen in demand for financing.